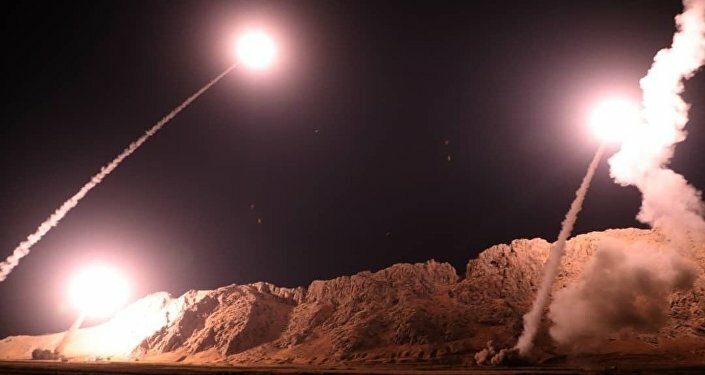 VIENNA (Sputnik) - The United States puts at risk the nuclear nonproliferation regime for "extraneous purposes" by imposing sanctions on Iran over its alleged destabilizing activities in the Middle East, Russia's Permanent Representative to International Organizations in Vienna Mikhail Ulyanov told Sputnik. "Washington explains its decision by its determination to counter Iran's activities in the region, which it considers harmful. The result is that the interests of nuclear nonproliferation are sacrificed for extraneous goals," Ulyanov said. According to the diplomat, the US "defiant" move proves that Washington, contrary to claims, does not regard nonproliferation as a foreign policy priority. "In general, one can say that the interests of nuclear nonproliferation are not placed in the hierarchy of Washington's foreign policy priorities as high as it is declared, otherwise the United States would not have acted so irresponsibly and defiantly," he concluded. The US decision to re-introduce sanctions against Iran is absurd and dangerous in its consequences, Mikhail Ulyanov told Sputnik. "The decision made by the United States is absurd and very dangerous in its consequences as it derails one the most important international agreement approved by the UN Security Council," Ulyanov said. The statement was made on the day when the second package of US sanctions, re-introduced after Washington's withdrawal from the Iran nuclear deal and targeting, in particular, Iran's oil sector, takes effect. In early October, US Secretary of State Mike Pompeo said Washington would consider waivers for the importers of Iranian oil to give them time to adjust to the new conditions, but expected all countries to eventually reduce their oil imports from Iran to zero. US President Donald Trump announced his decision to withdraw from the Iranian nuclear deal in May, along with the plans to reimpose its sanctions against Iran that had been lifted under the agreement. The first round of the US restrictions came into force in August. The other remaining signatories to the nuclear deal – Russia, China, France, Germany, the United Kingdom, and the European Union – have condemned the US decision, stressing that the International Atomic Energy Agency (IAEA) confirms Iran's full compliance with the accord.